Microsoft To Take A Leaf From Apple&#39;s Book? 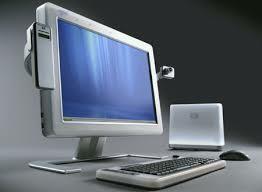 At a Seattle event on Thursday Microsoft CEO Steve Ballmer talked about areas Microsoft will focus on in the future. While much is being made of the comments he's made about Windows Vista many people seem to be disregarding the comment he made regarding hardware. He talked about Paul Allen approaching Bill Gates in the early days and talking to him about building computers and each time Bill would say no, Microsoft are a software company not a hardware company. At the end he said, "We're on that same strategy 30 years later ... but we do have an expansive vision." While we could assume that he's talking about the Zune and the XBox I personally don't believe he is. Apple have been given credit for how efficiently their OS runs and a major reason for this efficiency is the fact that the hardware and software are so closely tied. If Microsoft started to build own brand PC's optimised to run Windows 7 and Windows Vista as well as offering the OS to other PC makers they should be able to open up a new revenue stream and I know I would personally buy a Microsoft branded PC if I knew it was as well optimised as the Macs are. 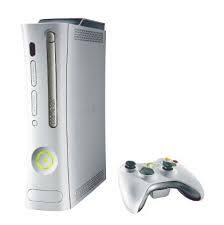 The XBox should've been the perfect live experiment to get the problems ironed out of their hardware designs. Hopefully the overheating problems will be solved in the new desktops because they will realistically get one shot at this release. It must be well designed, must be at least comparable to the iMacs, as well as performing better than the majority of vendor PC's currently on the market. I know these goals are high but as this is a tough market with Apple slowly gaining ground and most PC's lacking in aesthetic pleasure Microsoft will be expected to produce or risk getting lost in the market.